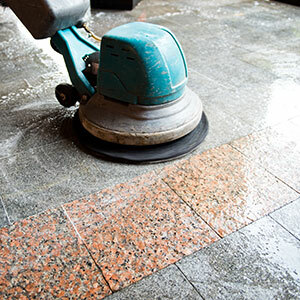 DMC's Hard Floor Cleaning Services in Milton Keynes provides deep clean for wood or natural stone such as Marble, granite and limestone and also soft flooring such as Vinyl, Lino and Marmoleum. We are dedicated to ensure that your flooring is looking the best it can possibly be, creating a professional image for your business. Our experts will provide the best hard floor restoration or cleaning solutions that will help make your floors look remarkable. Our Hard Floor Cleaning Services in Milton Keynes work in both residential and commercial properties and will provide services at times that suit you including evening and weekends. When it comes to our services we are dedicated in helping our customers to achieve the ultimate best hard flooring clean, giving you peace of mind. DMC can offer a time and cost effective way of working, keeping your hard floors in the best condition possible. We help to create a professional image leaving your visitors walking away with a positive impression and leaving staff feeling comfortable in their working environment. We like to provide a time that is most convenient for you this includes evening and weekends. We take great pride in insuring our customers are completely satisfied with the service we provide. If you would like to get your hard floors looking the best they can be, call our Milton Keynes team now on 01525 500 100, where our team will be happy to advise and assist you.